Clothes, jewelry, automobiles, and yes, milk and eggs (thank you Amazon Grocery) all from the comfort of your home. Ecommerce is certainly changing the way consumers are engaging and purchasing with brands throughout the world, but even though many services are bought and sold online, we are at the infancy to an explosion of service based ecommerce solutions. Take for instance, websites such as Fiverr.com. They are turning services into a mainstream, instant transaction, where the buyers are protected by safety in numbers, the reviews and opinions of other purchasers of a specific gig. Even with this explosion in micro, or small transactions, people are still hesitant to make large purchases over the internet. This manifests itself in most business websites offering free consultations, free quotes, estimates, or oil changes when you come in to redeem a coupon, or mention their website promotion. What do all of these have in common? They are bridging the gap between the digital world, and their brick and mortar location, but are creating an unnecessary step, not closing the sale via an ecommerce website. Apps such as Opentable show the power of purchasing/reserving tables from the comfort of the internet. Why do I have to call a Dentist’s office, talk to a receptionist, setup an appointment, come in and fill out payment work? The process will be much more fluid in a few years. The end user will simply pay for services they are certain they want, and add the ability to be billed further depending on the work needed to be done (root canal, fillings, etc), with set minimums and maximums in place to protect both the business and the consumer. Google is helping facilitate this trend with Google Helpouts, and interactive 1 on 1 conversation in order to give real time advice, and consultation for either a fee or for free. This sets the stage for businesses to segway into offering full service solutions. Now, the consultation can turn into a billing agreement without any extra work, since the client has entered their credit card, or payment information. Transitioning from a free consultation via webpage will allow lawyers, doctors, dentists, plastic surgeons, and just about any service professional the ability to receive payment immediately and begin servicing the sale right on the spot; whether through their direct services, or ability to schedule an appointment for the actual service – not simply start the process, which seems like a small difference but in terms of transaction smoothness it’s light years ahead of the current state of booking and service appointments. Since the ease of use, and barrier to entrance is lowered, there must be measures in place to protect the consumer. 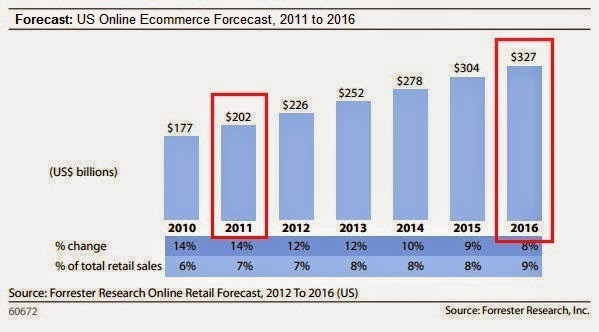 This is why reviews, not only on the direct ecommerce platform, but 3rd parties as well such as Yelp (which is now offering more direct services), Google+, Amazon, MerchantCircle, etc will continue to grow in importance as the average purchase made over the internet increases, so does the risk associated with losing those dollars. Even custom products, such as dentures will be billable through an ecommerce solution. The client would simply buy “dentures” through the website, and come in for a free consultation, or standard small fee. Once the dentist shows the client what he/she specifically needs and the price, the client can confirm through an IPad or phone without entering additional billing information. As technology, web design, and consumer education increase, ecommerce purchases of milk, bread, and a set of dentures will be quicker, streamlined, and purchasable with a click of a mouse while the consumer is protected by reviews, business reputation, and flexible billing solutions. Charles Crawford is the co-founder of Crawford and O’Brien, a local dental SEO company that helps dentists all across the U.S. get new patients through marketing that works. The average ROI at Crawford and O’Brien is over 500%. That’s insane. Connect with Charles on Google+.